So after playing around in Zbrush for too long, I’ve started to sculpt something different each day just to get the techniques I’ve learned to stick, and I’m trying to take it the next step. 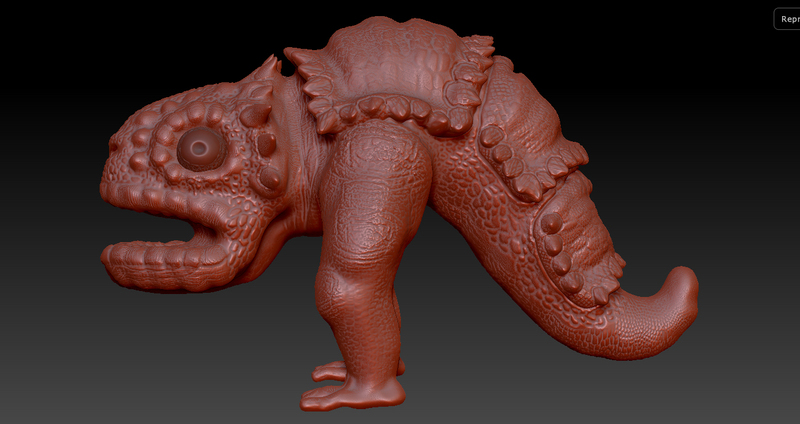 You know, from a decent highpoly Zbrush document to something that actually can be used. So now I need to study topology, uncoding the mystery of awesome topology. Even though I know a lot about it, it’s textwise, not practical. When it comes to building a topology-basemesh around fingers and toes, I’m at a loss. So that’s what I’m going to try out next, again and again and again. 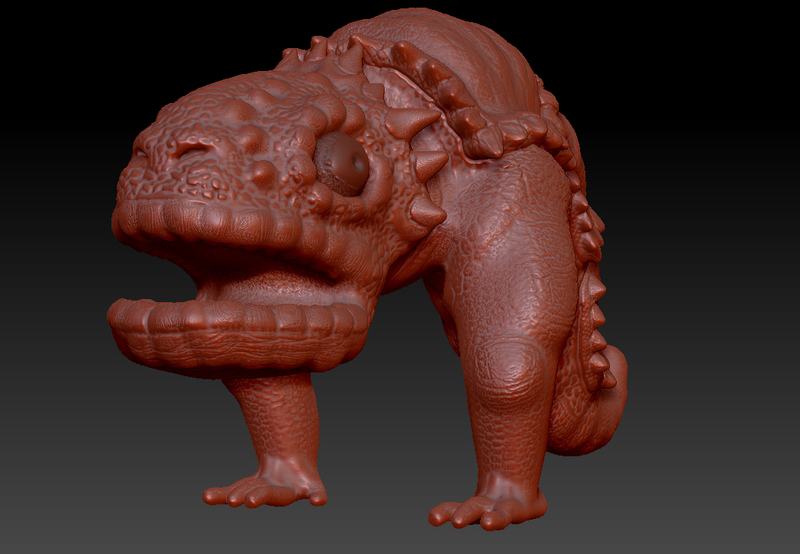 For a couple of days ago I sculpted the Grubber, with six legs. It’s obvious from the design that it was made without any real thought. As a rule, you should always sketch and quicksculpt your idea many times, each time refining it and getting new ideas for that model – but I’m quite bad at letting something go. This can be good for people in my situation, maybe, that need to practise alot on sculpting as well. After a little sketching (after the grubber) I finally got the first look of how I really wanted it to look like. A couple of hours and legs later, here it is.